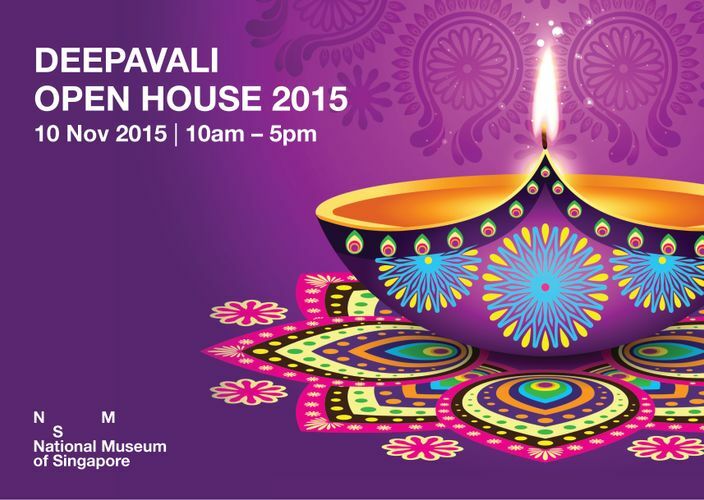 Spend the day at the National Museum of Singapore with a range of family-friendly activities befitting the occasion! Free activities include a thoranam craft session and storytelling sessions featuring traditional Indian tales. Thoranam is an auspicious hanging decoration in Hindu culture. Traditionally made of young coconut or mango leaves woven into patterns, it is strung across houses or temples and symbolises health, happiness and prosperity. Join us in this simple craft activity to create your very own paper thoranam! Join Grace Kalai, Srividhya Venkat and award-winning storyteller Roger Jenkins as they share traditional Indian tales in celebration of Deepavali. Stories include the tale of Sita’s abduction from the Ramayana epic, around which the Festival of Light is centred. They will also share a riddle-story about Narasimha, the man-lion incarnation of Vishnu, and an inspirational folk tale about a cracked pot!